Early morning at Roquebrune-Cap-Martin. 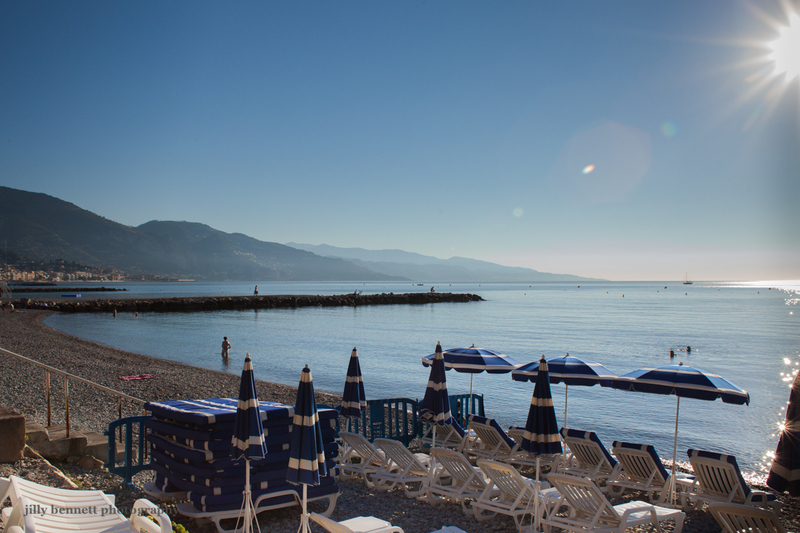 We are looking towards Menton and Italy beyond. That's the Old Town of Menton on the left tucked into the hills. Tôt le matin à Roquebrune-Cap-Martin. Nous regardons vers Menton et au-delà vers l'Italie. Sur la gauche, nichée au creux des collines, c'est la vieille ville de Menton. I spent nearly every afternoon on that beach during the summer of 1967. If the beach was too crowded, we'd walk out to Cap Martin and swim off the rocks. Wonderful memories. Is the Pirate still there? Brilliant photo, Jilly. Wish I were there!